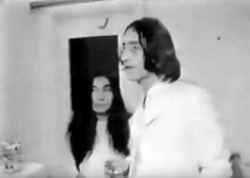 Notes: John & Yoko attended the opening of Yoko`s latest art exhibition called "You Are Here". 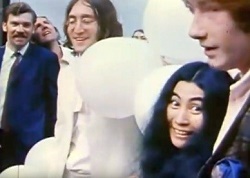 Colour (Maybe BBC) and black and white (Reuters) newsreel footage was filmed as was colour home movie footage shot exclusively for John & Yoko. 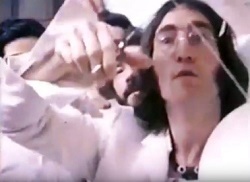 This colour footage has since been shown in "The Beatles Anthology" and various John promo videos.